Apart from the South American and Filipino Cuisine mentioned earlier on, to emphasize, Lau Pa Sat is really a good spot to sample the local cuisines as well as the internationals dishes. Not to mentioned that they had undergone 9 months long of renovation before getting such airy, spacious and better than ever Food Centre currently, maintaining its central clock and facade. 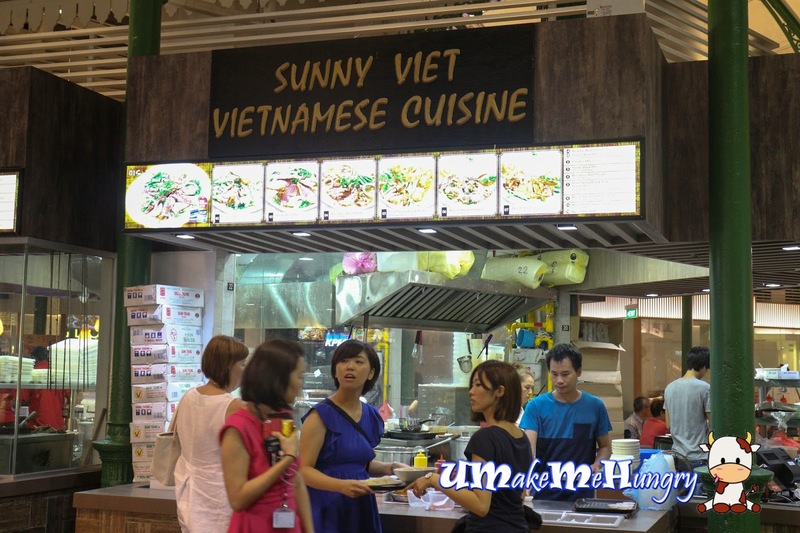 The only Vietnamese cuisine available from stall of Sunny Viet serving the staples and authentic Vietnamese food. 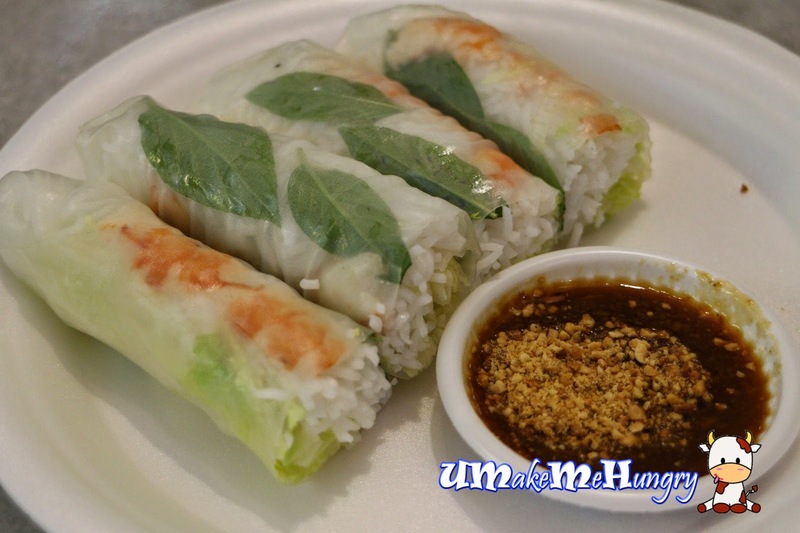 Having too much of mains on the table, we decided to go for the healthy and light vietnamese summer rolls wrapped in translucent rice paper, filled with shrimps, rice noodles, vegetables and herbs. Dipped into their spicy peanuts sauce and these rolls are just great! In conclusion, they are good but not the best, Im expecting more taste from the peanuts sauce as well as a more moisten rice paper.